Hello and welcome to Bas Gros Poing's pictures laboratory. 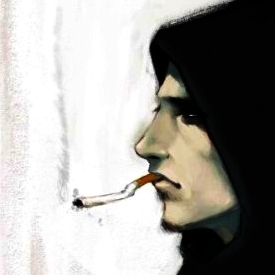 I will try through simple notes and a few articles, to offer a part of the production of Illustrators, professionals and amateurs, that make imaging fighting game an integral part of its essence, and also some of my works. Samurai Spirits ~ Zankuro Musōken ~ Samurai Shodown 3 / Sega Saturn ver. 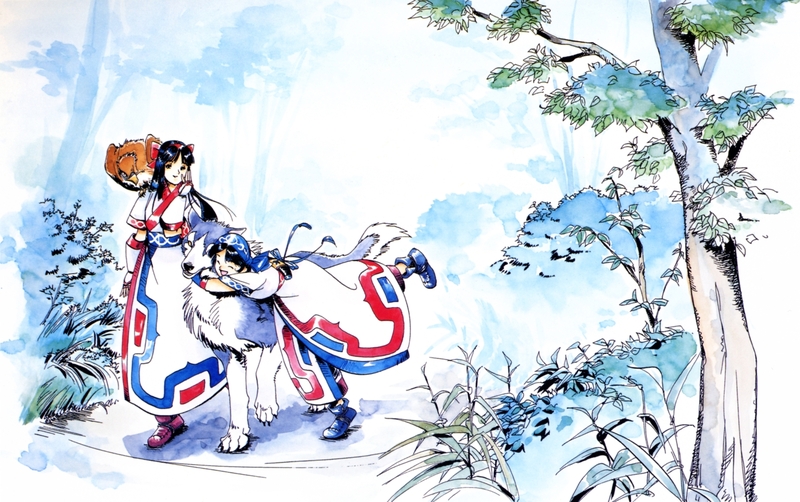 manual illustration / Nakoruru & Mamahaha X Rimururu & Shikuru / Eiji Shiroi / 1996. 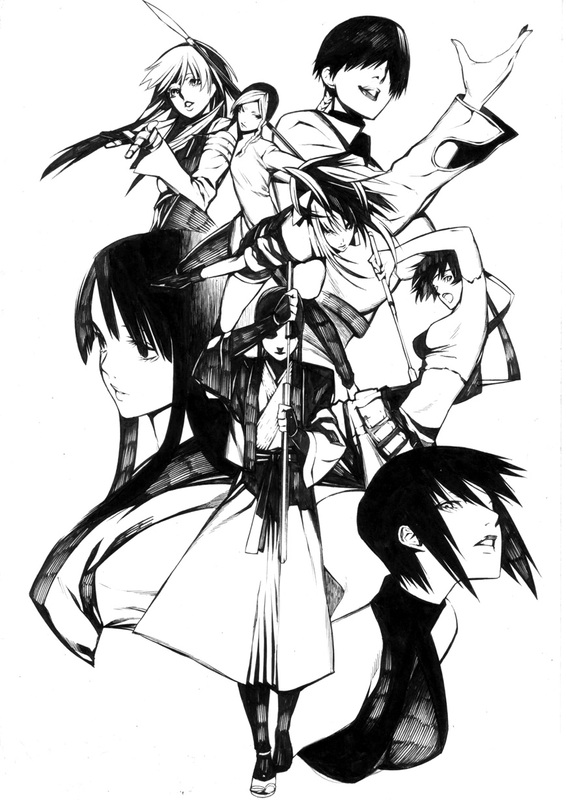 SNK fighting games series / The King Of Fighters ~ Samurai Spirits ~ Gekka No Kenshi ~ Fu'un Super Tag Battle / Kula Diamond X Shion X Shermie X Nakoruru X Leona Heidern X Rosa X Hibiki Takane X Shiki / Fan art by Onigunsou (オニグンソウ). 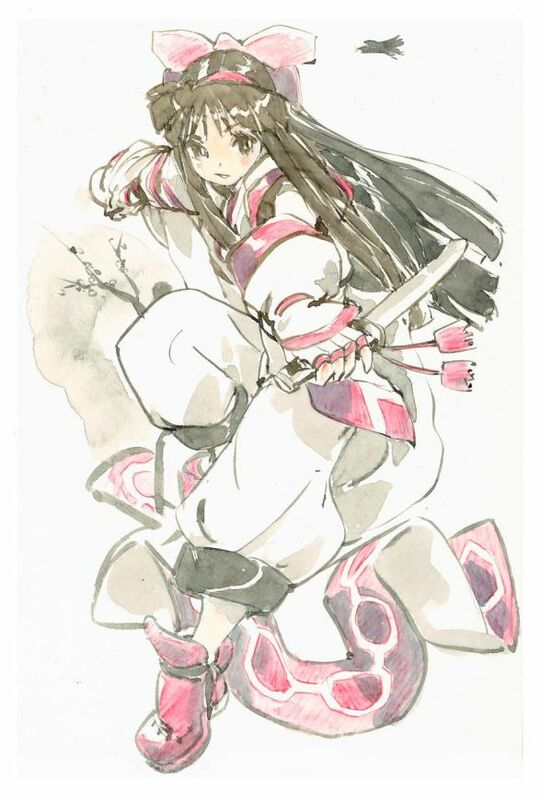 Samurai spirits series Tribute / Nakoruru / Watercolored illustration by Akiman.